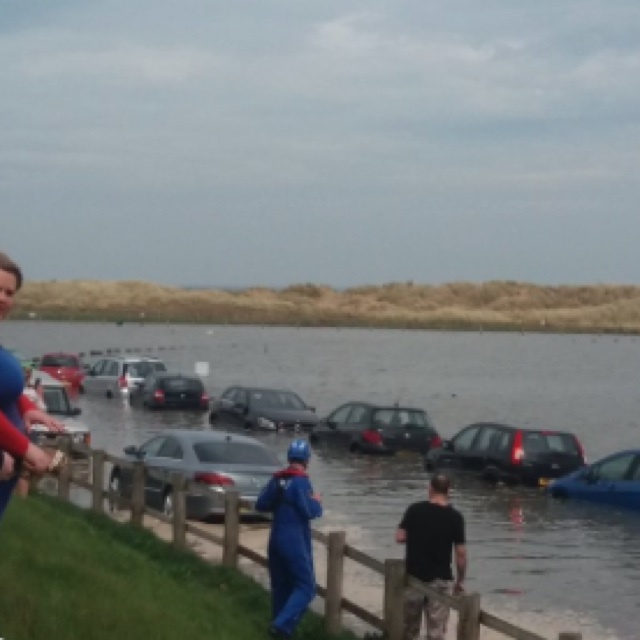 Around 40 cars were left submerged in the sea after being caught out by rising tide at a beach car park in north Wales on Sunday. Wales Online reports that there were signs warning motorists that the car park was closed, however the 40 vehicles, including a horse box, were left under water after a 29.5ft high tide peaked at 12.40pm. The incident occurred in Talacre in Flintshire. There was reportedly a sign that read, "Sorry beach closed for vehicles due to high tide" on a gate which was allegedly left open. Talacre Business Group chairman Lyndon Mulhearn, who has owned the local Sandancer Amusements for nearly 30 years, said it showed alternative parking must be a priority. According to the Mirror, he said: "I saw the gate (at the car park) had been left open, I'm not sure why, it was closed on Saturday. "But people who don't know just drive in and park and obviously lots of them have got caught out. "This proves there is an urgent need for a common sense solution to this ongoing problem." A rescue team and North Wales Police were called to the scene, but most motorists were able to drive away when the tide receded. 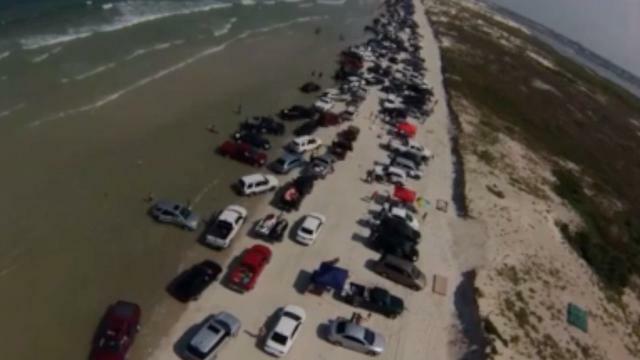 The small village has long suffered with the problem of limited parking, with the beach car park's 250 spaces being dependent on the tides. And, in the next three to five years, car park owners Natural Resources Wales want to restore the tidal car park to a beach. The Talacre Business Group has suggested a proposal for up to 320 car parking spaces on private land near the beach. However, it is a legally protected site for wildlife, but members believe there is an environmentally-friendly scheme that could be drawn up. Natural Resources Wales has not ruled out the idea.